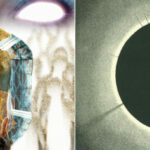 This month I’m doing a theme titled CW Artists. There’s an underlying tie between all the artists I’m set to feature, so let’s see if you guess it before the last entry. First up is the one and only Christian Kane. You may recognize him from his current role on Leverage as Eliot Spencer. Or if you’re an Angel fan you’ll remember him as the lawyer Lindsey McDonald. 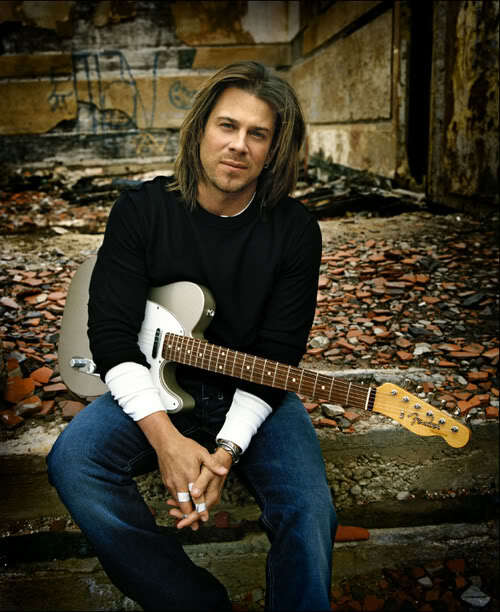 But for me, he has always been first and foremost Christian Kane the singer. Which came first, the acting or the singing? Many times it goes hand in hand. My first run-in with Christian Kane’s singing came when I heard the band Kane. 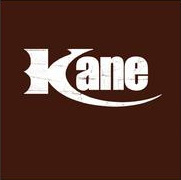 It was formed by Christian Kane and his friend Steve Carlson in 1998 and has put out music that could be branded “outlaw country.” Christian Kane provides lead vocals, with Carlson on rhythm guitar and backing vocals. The band has also boasted contributions from fellow musicians Craig Eastman, Jason Southard, Ted Russell Kamp, Timothy Jimenez, and Melissa Reiner. 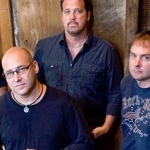 Their first release was a self-titled album Kane, which came out in 2000. I have a particular fondness for this album because, well, it was my first connection to the music of Christian Kane and immediately drew me in. It’s country, but with a kick. The first song of “Sweet Carolina Rain” appeals to me just for being a North Carolina girl myself. 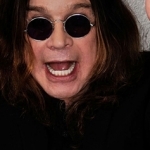 “Rattlesnake Smile” is one of those songs that could be likened to a dangerous boy. You know he’s trouble, but you can’t help yourself. I like “Crazy in Love” because it has a wonderful fiddle introduction and a background beat that you can honestly dance to because it makes you want to move. “Don’t Come Home” is a whiskey-laden plea of love lost. Following up is another love long gone, “The Chase,” which has a nice backbeat to take you along on the ride. “Spirit Boy” is probably one of my favorites on the entire album because of the story. He loves a girl, but the fates are against their happiness. Most would give up, but where there’s a will there’s a way, and he’s certainly determined. “One More Shot” is another song of determination, though possibly less dark than the previous. The chorus of “America High” is what always gets me singing, each and every time, which goes well with the free love it makes you feel. “In The Darkness” is possibly the most country song on the entire album, which is by no means a weakness, but perhaps an eternal strength. And rounding off the album is “Oklahoma State of Mind” which is bound to put a smile on your face until the next time you pop in the CD. 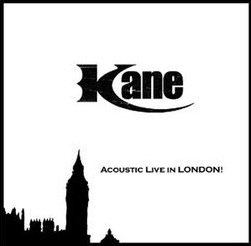 Kane’s second release was a live album in 2004 titled Live in London. There are a lot of spoken words on the album, but it puts you in the mindset that you’re actually at a concert. Quite a treat for those of us who don’t have easy access to seeing Kane live. Some of the songs were included on their earlier album, but there were some new ones of note. “More Than I Deserve” has a good harmony, allowing the other band members to be a bit more featured. “Middle American Saturday Night” is exactly what it sounds like: a story of memories from good times. I like the origin story of “Mary Can You Come Outside” and it certainly gives a good mental picture as you’re listening. And, perhaps an anomaly on the album, we have one song led by Steve Carlson and that is “Pinata Novia.” I really like the change of pace and I certainly like the song. “Mama” has a good guitar beat running through it and that compliments the harmony the song creates. The same is true of “Track 29” as the music and lyrics blend together with rich expression. Ending the CD is “Seven Days” and, with help from the audience, the beat is kept and the emotions run high. A wonderful end to a great album. This year Christian Kane released a solo EP with five songs on it and it’s just as fantastic as fellow Kane fans knew it would be. It’s country and rock all rolled into one. “American Made” gets you up and dancing. He’s got girls across this country and they’re all made right here. 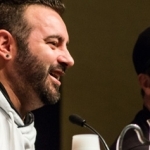 Next up, you can tell a true fan by one test — do they know Rule #7? If they’ve listened to “House Rules” they would. Welcome to our house! “Whiskey in Mind” has a beat that is just as smooth as the liquor going down. It’s dangerous and tempting all at the same time. The song “Making Circles” is marked explicit, but don’t let that scare you off. It’s a slow build, but the payoff is worth it, and the beat can twirl you right across the dance floor. And rounding us off is “Let Me Go.” Sometimes the best thing is to just walk away, even if it hurts. From start to finish, I never stop smiling when I listen to this EP. 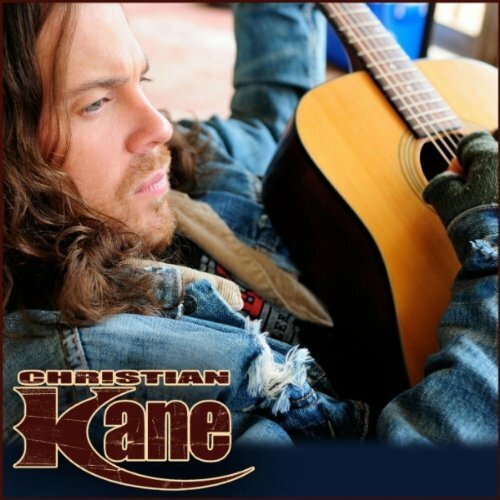 I think that says something really good about the quality of music that Christian Kane provides. I anxiously await whatever new music Christian Kane makes. He’s got a voice that can carry you to places far and near. Check out Christian Kane’s official site today. You don’t know, you might become a Kaniac before you know it. Great article :) Some of your favorite songs are the same as mine lol plus I’m also a Carolina girl. ;)~ Don’t know if you’ve heard but his new CD is going to be released on Dec 12th. Fellow North Carolina girl! WOO!